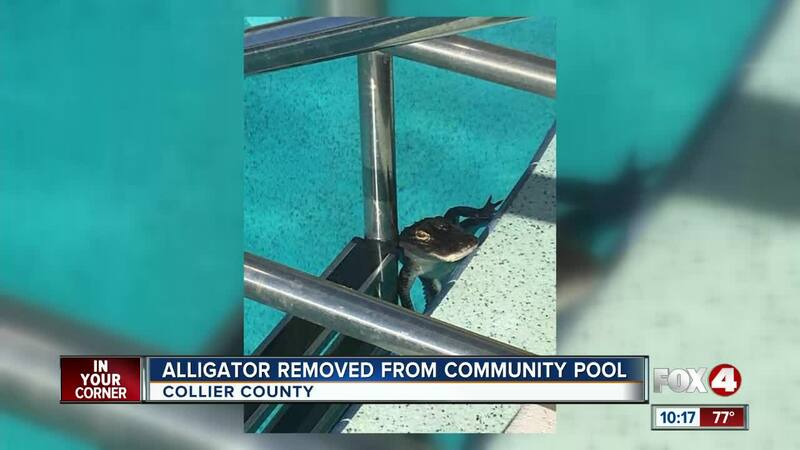 NAPLES, Fla. -- The Collier County Sheriff's Office responded to an alligator going for a swim at a community pool off Celeste Drive in East Naples Sunday. Unfortunately for him, reptiles aren't allowed to use the pool. He also didn't have the proper swimwear necessary, so Collier County deputies called a gator trapper to pull him out of the water and relocate him.